For more project details visit the link [www.fimfiction.net]. * You stated that the project will use original characters. 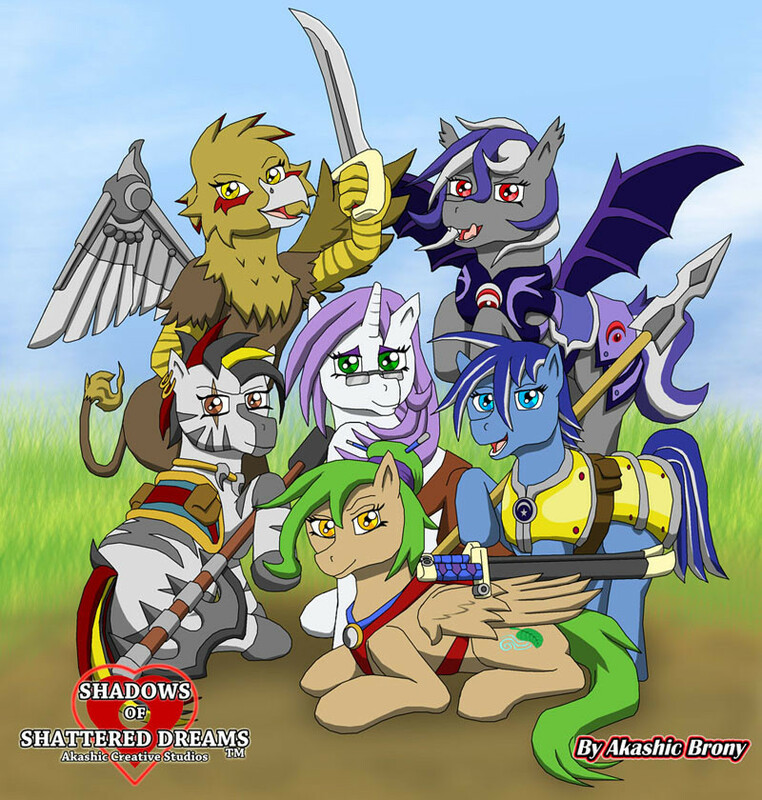 It sounds like the setting is only vaguely similar to the world of Friendship is Magic. 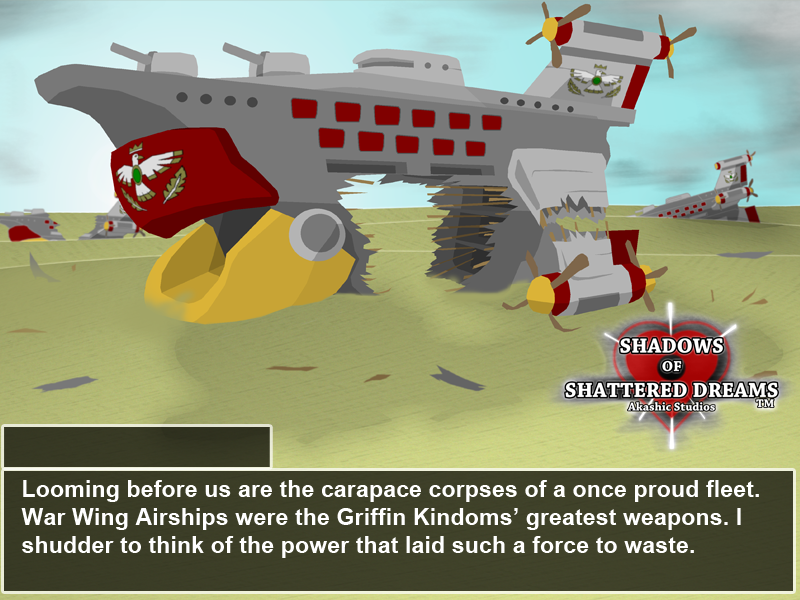 That said, is crowdfunding appropriate for this project? Before considering using a crowdfunding service, read its rules and its copyright policy, and ask if you have questions. * Make sure people can trust you. I say this because in the recent past, there was a project on Kickstarter called Dark Skyes. It was not clear whether it was a scam, whether the creators intended to finish it, or whether the final version would have NSFW content. * If you choose to use Ren'py and you need assistance, then politely ask for help on Lemma Soft. Look through the discussion thread Requirements for Recruitment at http://lemmasoft.renai.us/forums/viewtopic.php?f=58&t=22143 first, and then read at least part of the Suggestions for Recruiters thread at http://lemmasoft.renai.us/forums/viewtopic.php?f=58&t=14462 . * Consider how you'll approach the combination of romance and adventure. If the visual novel puts less emphasis on relationships, then how relevant are they? Also, how are the two linked? I have read some visual novels which combine romance and adventure to varying degrees of success. The last one which had both that I liked was the PSP/Vita-compatible game Sweet Fuse. 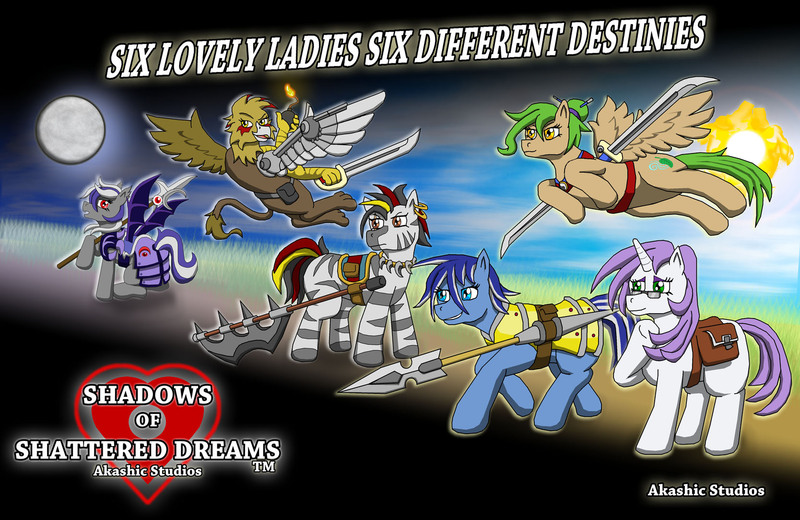 * Finally, consider what's currently being done with Pony Amnesia: Love and Mysteries, and Starswirl Academy. The former project takes place in the Friendshp is Magic universe, and promises to include both a general story and relationships. The latter project uses humanized characters, and promises to mix slice of life and romantic drama. I've studied Media Law, the project scope I'm establishing fits within the legal boundaries. The cast, the setting, and story does not copy of existing material. Yeah, trust is important when building the core team. I've had to already deny some applicants for their obvious free-loading tendencies. I'm looking for driven and reliable individuals. Other folks are welcomed to the "pre-reader" area. I've heard of the Dark Skyes "debacle". The scammers were promising the moon. My own project is contained in scope with realistic expectations and we'll release a functional demo first. I'm actually the artist and project leader, so I have a vested interest in the project. The mercenary is only after money. Art takes blood, sweat, and tears. Not to mention time. I'm taking a turn and breaking away from the procedural (frankly done to death) highschool setting. I plan to have unique locations fitting the fantasy world I've created. 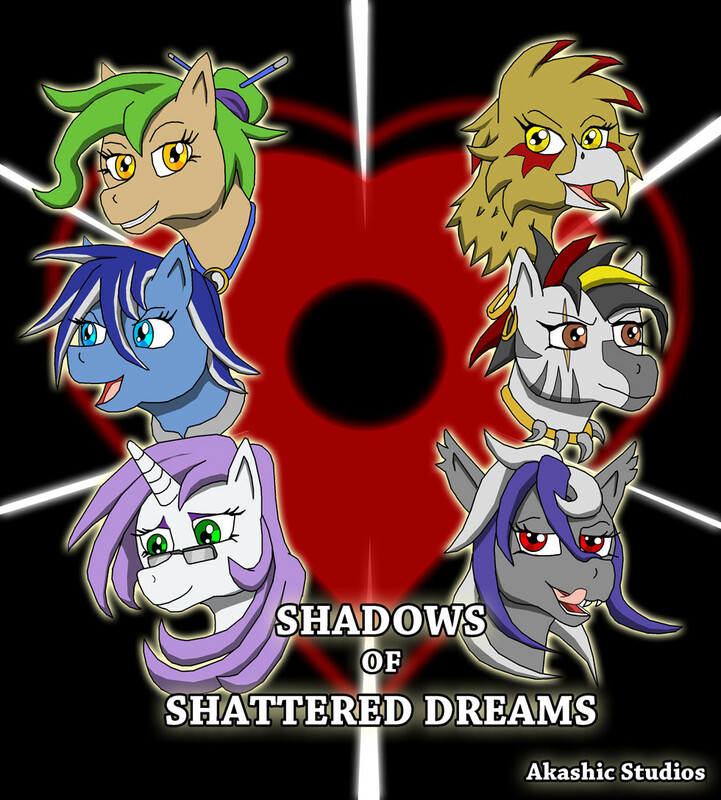 Shadows of Shattered Dreams will be primarily character driven. Choices made in the initial moves will determine allies and foes to come. A major thematic message is to question the very nature of "friendship". Fair weather friends and superficiality will lead to protagonist death. With the right team, I know we could make a worth while product. Production is ongoing, but we're still recruiting. Released today, I would like to reveal some story details though. 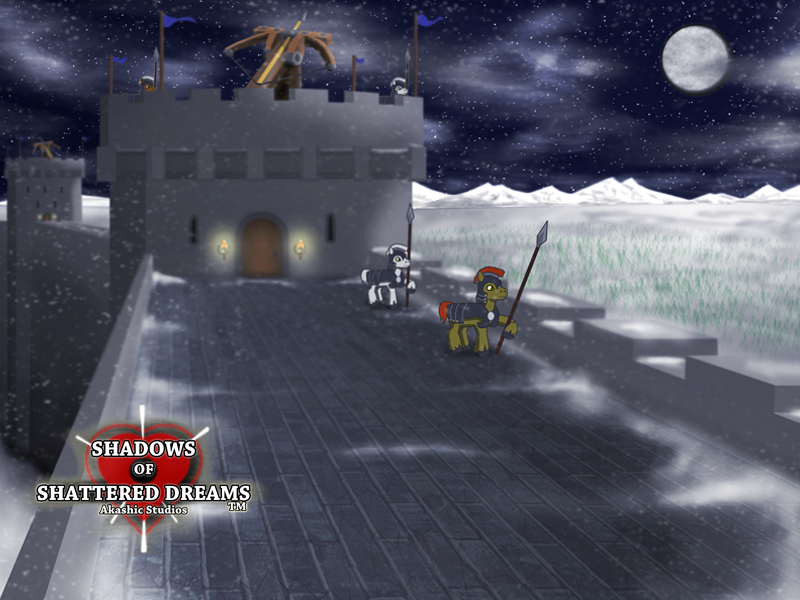 Shadows of Shattered Dreams is to be set in an apocalyptic scenario after a coalition invasion of multiple races is thwarted at a terrible cost. Looming above the day to day desperation will be the ever present encroach of decay. Friends and allies of one path will be enemies of another.